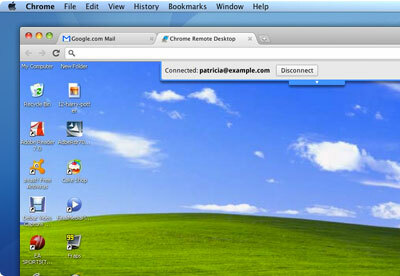 "Chrome Remote Desktop BETA is the first installment on a capability allowing users to remotely access another computer through the Chrome browser or a Chromebook"
Months of work on "chromoting" have reached fruition with Google's release on Friday of a new Chrome extension to let a person on one computer remotely control another across the network. It is fully cross-platform, so you can connect any two computers that have a Chrome browser, including Windows, Linux, Mac and Chromebooks. The Chrome Remote Desktop beta version, which arrived Friday, is a browser-based equivalent of remote desktop software for conventional operating systems. Such software is handy for IT administrators managing employees' machines, people taking care of their relatives' computers, or individuals getting access to their own machines from afar. It's that latter category that likely was a very important factor in the development of the technology. Google's Chrome OS is geared in part toward organizations that want to lower their computer administration costs, and remote management is an important factor when it comes to that goal. 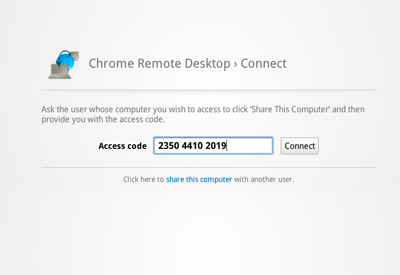 Using the Chrome remote desktop extension requires that the person sharing access to a computer give an access code to the person who will tap in to it remotely. The technology right now is limited so that permission must be granted each time remote administration is activated. 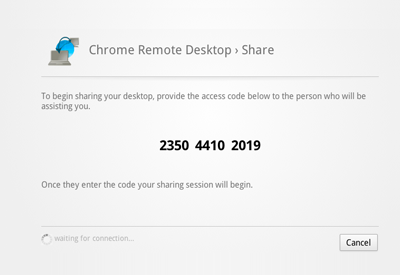 "This version enables users to share with or get access to another computer by providing a one-time authentication code. Access is given only to the specific person the user identifies for one time only, and the sharing session is fully secured," the release notes said. Bottom layer is p2p connection established by libjingle [a Google collection of peer-to-peer software tools], this can be UDP, TCP, or relay through Google. We use PseudoTcp implementation in libjingle to provide reliable connection. On top of that is SSL connection. Protobuf [Google's protocol buffers software] is used for structured data and framing. Graphics is encoded using VP8 [Google's video codec]. The implementation is open-source," with source code available through the Chromium project that underlies Chrome.